Images relating to two British icons, the glorious failure Scott of the Antarctic, and that leader without parallel, Ernest Shackleton, went online today at noon. 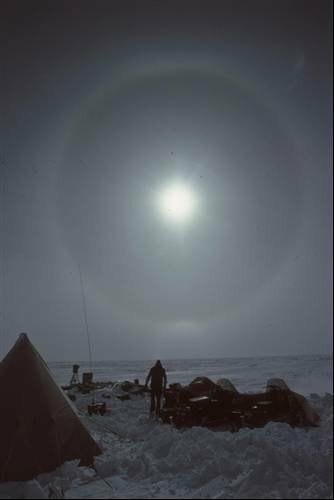 With this being the International Polar Year, the University of Cambridge’s Scott Polar Research Institute is putting its image collections of polar exploration online at Freezeframe. In 2007 it started digitising its collection of over 20,000 images and related documents such as personal diaries and official reports that cover the years 1845-1960. Given the growing interest in climate change and its effect on polar ecology, the directors of the institute hope the site will become a reference point for anyone concerned about the history, present and future of the poles. For anyone planning a trip to get their own photos, here is some very practical advice from someone who’s been there. British researchers are now exploring a lake the size of Windemere three kilometres under the Antarctic icecap that may contain new life forms that go back to before the start of the present ice age.